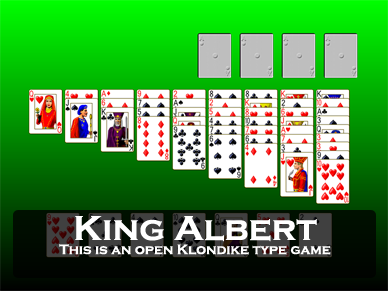 Screen shot of the game Somerset from Pretty Good Solitaire. 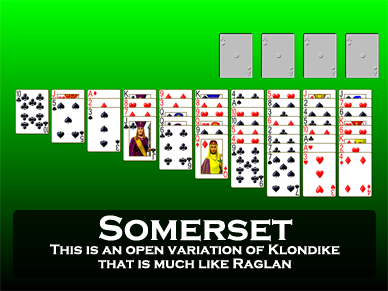 Somerset is a one deck Klondike type game. There are four foundation piles. These are to be built up in suit from Aces to Kings. The game is won when all of the cards are moved here. There are ten tableau piles. These piles are built down by alternate color. Only one card at a time may be moved. 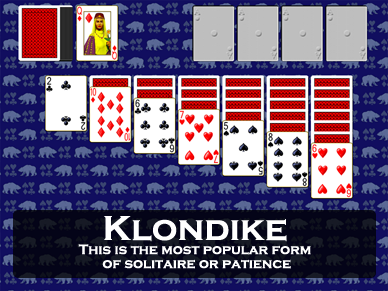 Spaces are filled by any card. 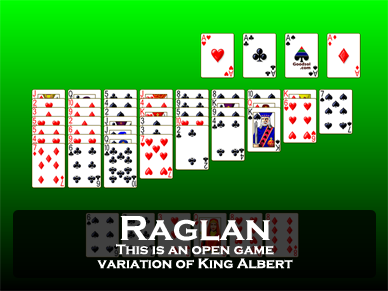 At the start of the game one card is dealt face up to the first pile, two cards to the 2nd, and so on, until the the 9th and 10th piles, which are dealt eight cards each. 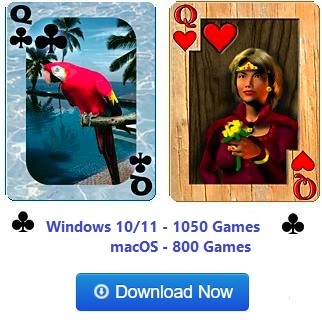 There is no stock as all of the cards are dealt out at the start of the game. 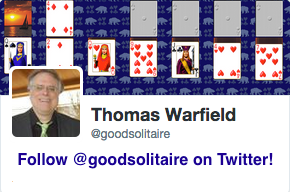 In addition, since all cards are dealt face up, Somerset is an open game. Open games usually allow for more strategy. An average player wins Somerset about 20% of the time, but much better scores are possible.